Police are continuing to carry out extensive searches in the Crathes area for teenager Liam Smith as it approaches two weeks since he was reported missing. The 16-year-old was last captured on CCTV at Aberdeen’s Union Square shortly before he boarded the 202 1.15pm Stagecoach bus which would have taken him in the direction of Banchory. 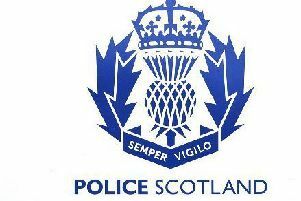 Following information received by another passenger police believe he got off the bus at Crathes and there was a credible sighting of him in the Crathes Estate area that afternoon. In total, the force has received 139 reported sightings of Liam from the public in various locations across the North-east including Inverurie, Kemnay and Rothienorman which have now been discounted. Chief Inspector Martin Mackay said: “Every available police resource has been dedicated to our search for Liam and it continues to cause us all great concern that he has not yet been found. “Eleven days is a long time for a teenage boy who has little experience of the outdoors to be missing and as more time passes without seeing or hearing from him, we need to be realistic about the options we have moving forward. “The terrain we are entering with regard to our searches is extremely challenging - not helped by the current weather - and even our own officers are finding it difficult to navigate certain areas. They are trained and experienced to do this though and we will continue to ensure that all the land we need to cover is searched effectively. “I know that many members of the public are still offering to assist with searches and please don’t think your offers of help are being ignored. I must stress just how challenging the land is we are dealing with ranging from dense wooded areas to expanses of water, and we don’t want anyone put in harm’s way. He added: “I continue to urge anyone with information that could help us establish why Liam would head in the Deeside direction, or if he has mentioned places of interest to you in the past, to let us know. Anyone with information can contact police on 101 quoting reference number 1302 of November 18.